Welcome to the world of 35+ seniors tennis, where our mission is to increase the playing opportunities and social interaction for tennis players of all standards over age 35. Tennis Australia (TA) representatives, Bruce Osborne and Travis Atkinson, have been presenting some Adult and Seniors Tennis information to all Tennis Seniors Divisions over the past 8 weeks. Based on the availability of key stakeholders six Division presentations have been completed as at 10 April. The Australian Seniors Teams for the 2019 ITF Cups in Portugal have been announced. 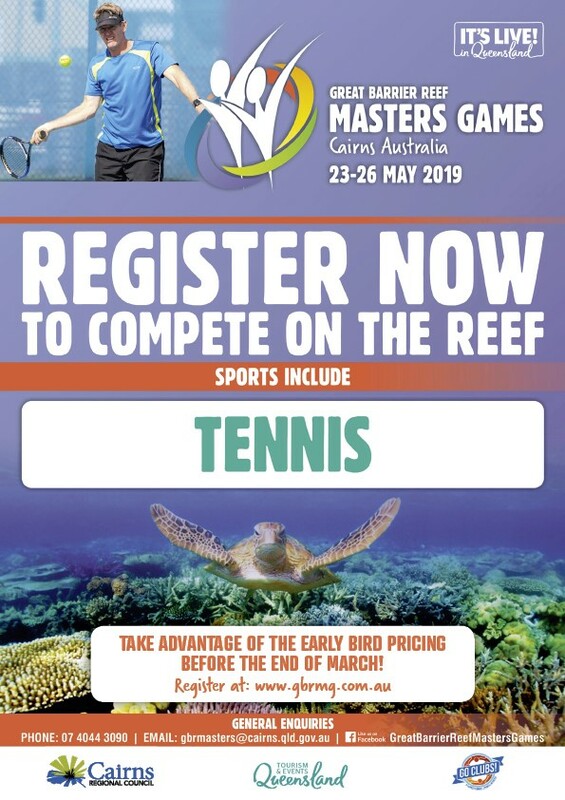 The 2019 Great Barrier Reef Masters Games will be held over 23-26 May in Cairns. There is early bird pricing before the end of March. Rankings Coordinator Gail Bates has recently released the list of player rankings as of end of February 2019. These include mens and womens rankings for both singles and doubles.